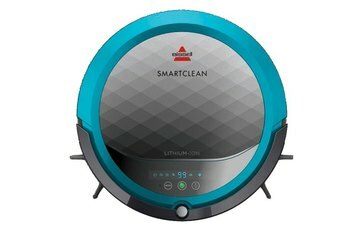 The Bissell SmartClean 1605 is a lot less expensive than many competitors. 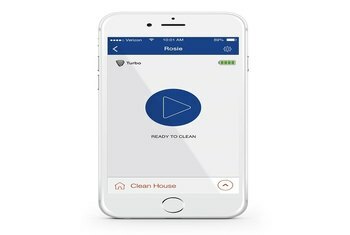 The SmartClean 1605 automatically detects and adjusts for carpets and hard floors, and you can program it to clean on a schedule. 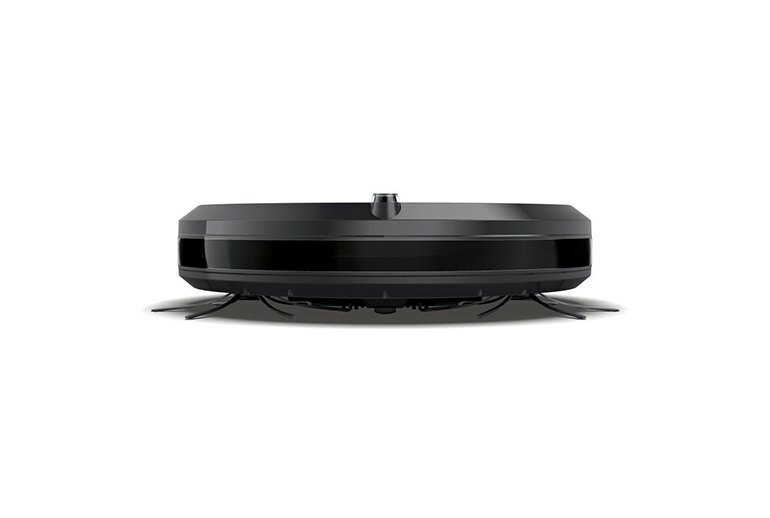 The invisible room accessory keeps the Bissell SmartClean out of rooms you don't want it to clean. Some reviewers commented on problems navigating on carpet fringes or over cables. Reviewers say the SmartClean doesn't fully dock itself; you have to push it in to make sure it recharges. 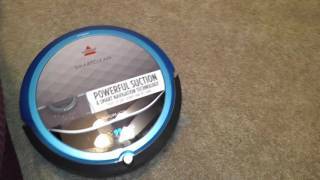 The Bissell SmartClean 1605 Robotic Vacuum cleans floors and carpets on a schedule that you set--whether or not you are at home. 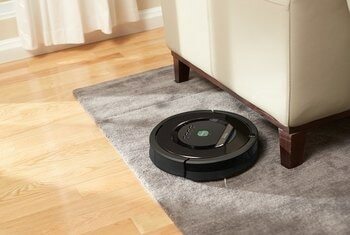 It's designed with a low profile to vacuum under furniture and includes spinning edge brushes to reach into corners. 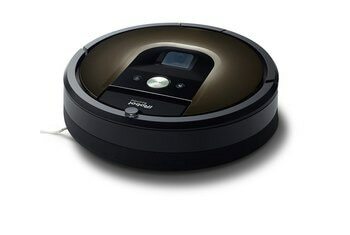 The vacuum returns to its plugged-in docking station as its rechargeable lithium-ion battery runs down. 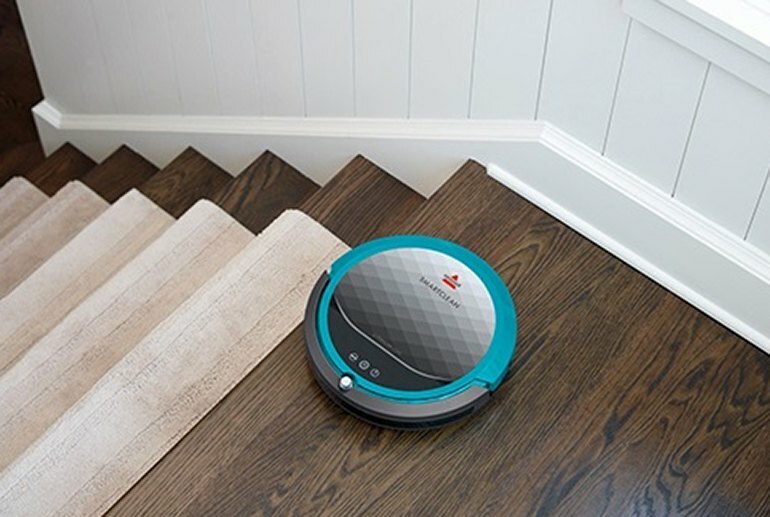 It detects edges to prevent falls down stairs and comes with an "invisible room" accessory that lets you designate a room you don't want it to clean. The most obvious deficiency with the Bissell is the size of the cleaning brush. The Smartclean brush is about the size of a finger. It is a touch over 4 inches long and 3/4 inch wide. 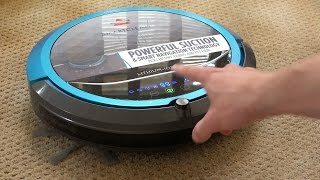 While the Bissell SmartClean isn’t completely perfect, the vacuum works great on pet hair, dirt and has no trouble helping you cut back on regular vacuuming. 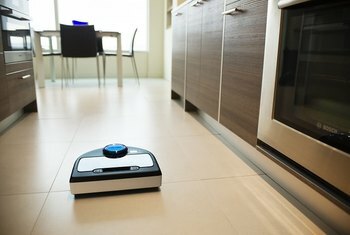 It works itself automatically, and can be scheduled to vacuum while you’re out running errands, so the noise won’t be too big of a problem.